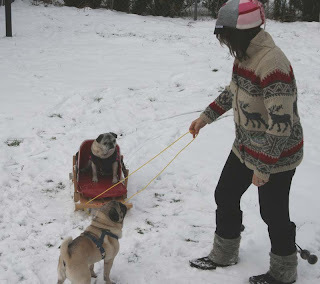 Our dear friend Tweedles had some very serious health issues recently which meant she had to have some scary surgeries. She is doing much better now but her vet bills were very very high. 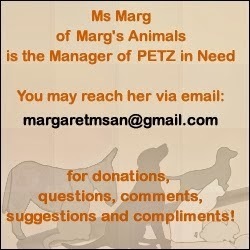 Some very kind ladies - Ann of Zoolatery and Marg of Marg's Animals - have a blog they have set up to help animals in need. 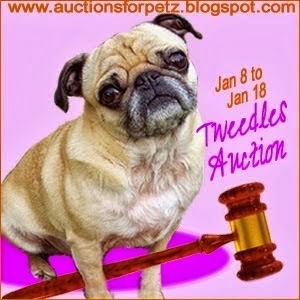 They have set up a lovely auction to help raise money for Tweedles' family to help pay for the surgeries she had. There are some wonderful items up for bid! Stop by and see if there is anything that catches your eye. Then bid and bid often! 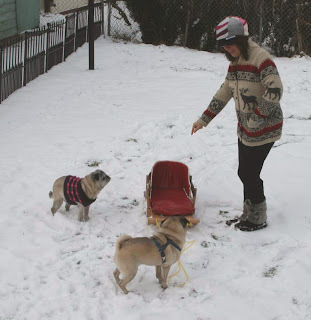 And guess who was the good girl and stayed in the sled while Mommy pulled it? Me!!! So I guess I will be getting more treats.